Positive thinking is the essence of success and happiness. This will ensure all understood in motivational issues. Does positive thinking is better than negative? Of course, optimism can help you get things too much. However, positive thinking alone is not efficient. It must accompany the effort, knowledge, creativity and sense of reality. “If you behave as if you were rich, you will get rich”, said the businessman Adnan Khashoggi. This statement is a bit abstract. Instead, the English cleric Charles Caleb Cotton said it best: “It is good to behave like … but it’s even better to grow to the point that it is not a performance.” Are there no areas in life where you can “pretend it till you make it”. To carry out a business takes talent and a little knowledge. It is not enough enthusiasm. Make sure your dreams and goals are based in reality. Those based in fantasy are just that, illusions. Even in dreams based on reality, know your abilities and your potential to fulfill them according to your situation. 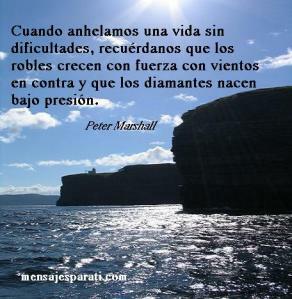 Do you consider the obstacles that appear in your life as a challenge? So your optimism is correct. If otherwise you run away to the first problem, your optimism will get you nowhere. Many motivational speakers say that anything is possible. This statement is a “nonsense”. Ask those who sneeze with your eyes open and see if they can. “Knowledge of what is possible is the beginning of happiness,” wrote the philosopher and novelist George Santayana. Having an exaggerated confidence in your ability to get something can be as bad as the limiting beliefs. Of course you should follow your dreams. It’s good to be ambitious. It is good to accept challenges. Only that positive thinking alone is not enough. Do not let your enthusiasm run wild. “The man with insight enough to admit your limitations is the closest to perfection”, said the prodigious German writer Johann Wolfgang von Goethe. Soy Licenciado en Ciencias de La Comunicación. Me obsesiona el tema de la motivación y la superación personal. Sería capaz de hablar, leer y escribir infatigablemente sobre ese tema. Me he ganado la vida como blogger, pero quiero más salud, dinero y amor. Siento la obligación de ser ambicioso y, por eso, he creado un blog en wordpress. Esta entrada fue publicada en Achieve goals, Achieve Objective, Coaching, Emotional control, Emotional intelligence, Personal Development, Personal Growth, Personal Improvement, Personal Motivation, Personal productivity, Personal Success y etiquetada Achieve goal, Achieve objectives, How to achieve success, Improve your productivity, Personal development, Personal Growth, Personal motivation, Personal productivity, Personal success, Raise your productivity. Guarda el enlace permanente. Incluye tu correo electrónico para suscribirte a este blog, y te estaremos notificando cada vez que publiquemos un artículo. Gracias. ¿En qué debes invertir tu tiempo para conseguir tus objetivos?